This week, our theme is floral! I LOVE Rachael Anderson’s Regency novels. They are so good!!! So far, I have read The Fall of Lord Drayson and The Rise of Miss Notley, two stories I absolutely recommend if you have not already read them. When I saw that My Sister’s Intended released I squealed with joy and immediately purchased it. Look at that gorgeous cover! It screams, “Read me!” The single red rose against the beautiful heroine’s white dress. The ethereal lighting. The gorgeous flowering garden. It’s all so lovely. Check back soon for my full review of this story + an opportunity to win a copy of the book! I hope you have an excellent Friday, and a restful weekend! I’m also sharing a Regency romance on my blog today – Winning Miss Winthrop by Carolyn Miller. It’s one of my favourite settings. I’ll have to check My Sister’s Intended with that beautiful cover and great first line. I loved Winning Miss Winthrop, and I cannot wait to read Falling For You! Thank you so much for sharing. I hope you have a great weekend. I LOVE Regency! I’ll have to look into books by this author based on your recommendation in this post. 🙂 I hope you have a great weekend! 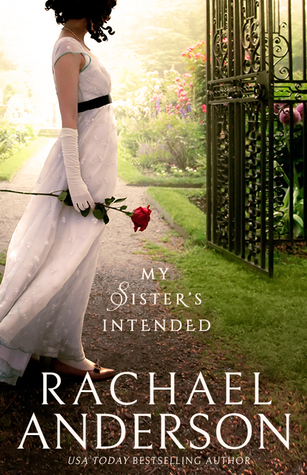 Yes, I definitely recommend Rachael’s Regency books. I also recommend Carolyn Miller’s books, too. If you haven’t read any of her book then you are in for a treat! Have a great weekend! I’ve read several of her contemporaries and really enjoyed them, but I haven’t read her Regencies yet. I really should! Thank you for sharing! I hope you have a great weekend. Sleep, I need sleep. But instead of hitting the snooze button, I’m frantically charging along a downtown city sidewalk, weaving through throngs of Monday-morning business types who seem to be walking in every direction but mine. Fantastic first line! I, too, need sleep. It’s been a long week. Hope you have a great weekend! 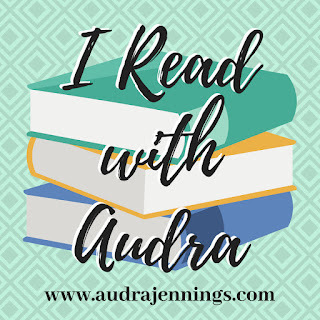 I love anything by Jody Hedlund, and I really loved this book. Thanks for sharing. Have a great weekend. Happy Friday! I really need to read more Regency!! You know, I haven’t read any book by Denise Hunter. I want to. I have a couple. But time seems to get away from me. Thanks for sharing. Have a great weekend! I enjoyed this book (wasn’t sure how the author was going to make it work when I was in the middle but she did a good job). Thanks for sharing! I will have to check that collections out. And, I also did not know how Ms. Anderson was going to work out Prudence’s story, but I love how she did. Have a great weekend! I have two books to review first, and then I can read The Weaver’s Daughter. I’m so excited!!! I can’t wait. Thanks for sharing. Have a great weekend. The book I’m highlighting on my blog is The Mistress of Rosemere by Sarah Ladd. I will share here the first line of Chapter 11, which I’m currently reading. “A flurry of activity swirled in the recovering Rosemere.” Wishing you a blessed weekend. I loved that book! Happy reading!!! My husband loves Rosenberg’s books. I hope you are enjoying it! Thanks for sharing. I loved Once Upon a Prince. It’s a fun story. Thanks for sharing! Have a great weekend, too! Happy FLF! I love a good Regency novel, I might have to check this book out it looks good! Oh my goodness I LOVE this cover!! I have not read any of Rachel’s books, but I’m thinking that I want to look into them!!!! You should Jessica. They are really good! She is one of my go-to clean-read authors. I love both of those books. They are both good reads. Thanks for sharing! Mama may have been named for the great-grandmother who traveled from England on the Mayflower, but the fact certainly did not keep her in the land of her birth. Like you, I have several to read for review by a certain date. But this looks like an author I need to check out! Have a great weeken, Nicole! I love this first line! This looks like an excellent first line–is it a series, or can it be read alone? Happy Friday! This is the first book in a new series. Book 2 and 3 aren’t available yet. This book can definitely be read as a stand-alone. It really sounds like a tale right? It’s from State of Sorrow by Melinda Salisbury. I’m nearly finished and if you love some fantasy in all shades of grey and …sorrow it’s the book you need. Big surprise, another beautiful cover that I really like. Happy Friday!